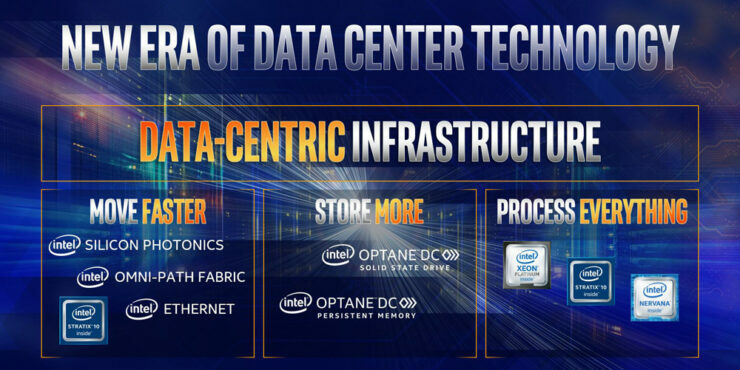 Intel has just unveiled their latest Xeon Scalable Family roadmap which includes next-generation 14nm and 10nm processors for HPC and Datacenters. 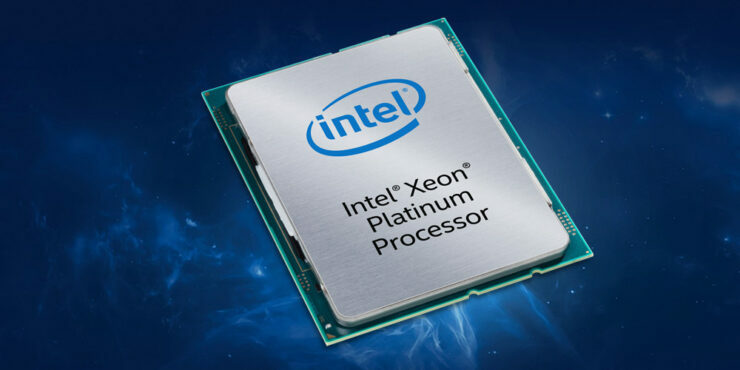 The roadmap confirms what we have been hearing regarding Intel’s Xeon platform since a while now so let’s have a look at what Intel has to offer in the coming years. During their Data-Centric Innovation Summit, Intel announced a new roadmap which confirmed their upcoming Xeon platforms. 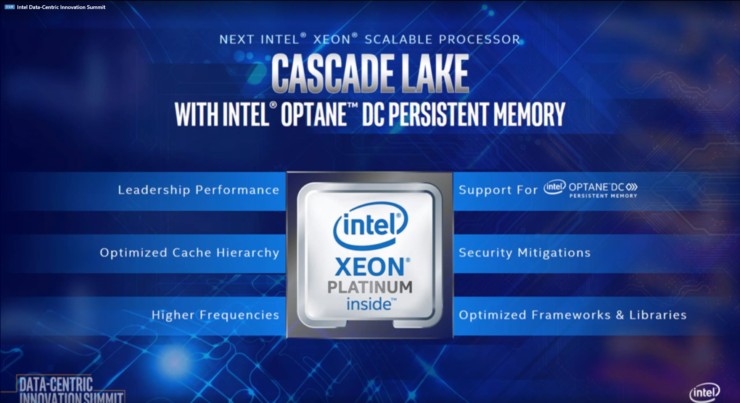 We have known about Cascade Lake-SP since a while now but now, we know what Intel is prepping for the future. Intel also revealed new details about Cascade Lake-SP Xeons which were not known before. The details show that Intel is currently planning the Cascade Lake-SP family for launch later this year. The processors are expected to start shipping to customers in Q4 2018. The new chips will utilize the 14nm+ node, featuring higher efficiency and retain support on the existing Purley platform while offering new feature and I/O expandability. 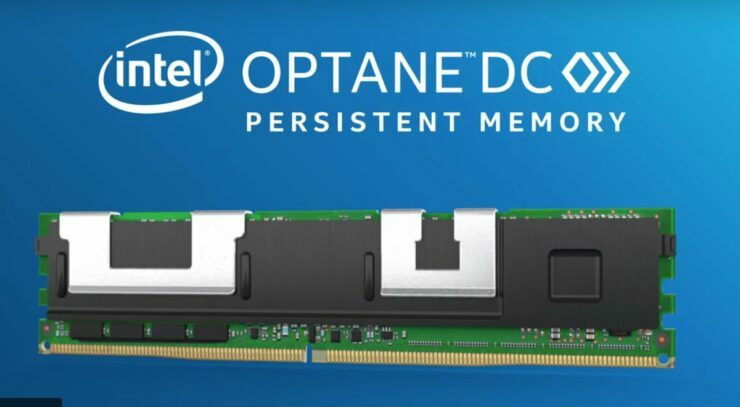 There will also be support for Intel’s Optane Persistent memory, Intel Deep Learning Boost (VNNI) and security mitigations against Spectre and Meltdown threats. The launch will take place at the end of Q4 2018 for top-tier customers which are focused towards hyper-scale compute while general availability is expected in Q1 2019. 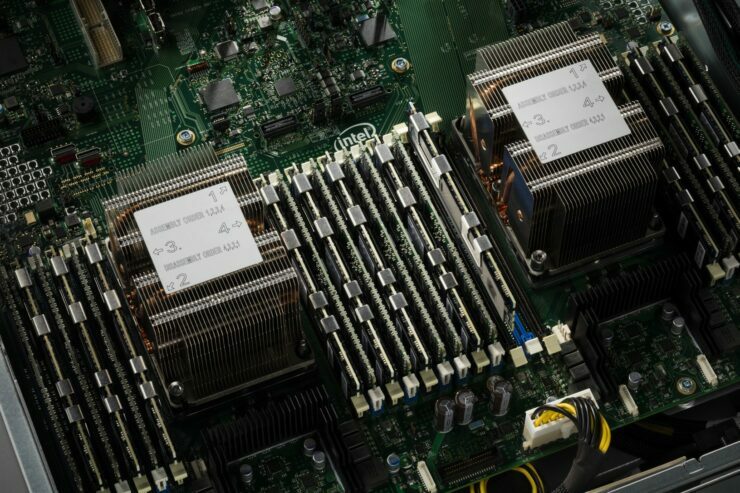 The new Deep Learning boost algorithm would help boost inferencing performance by 11x over the previous generation of Scalable processors (Syklake-SP). 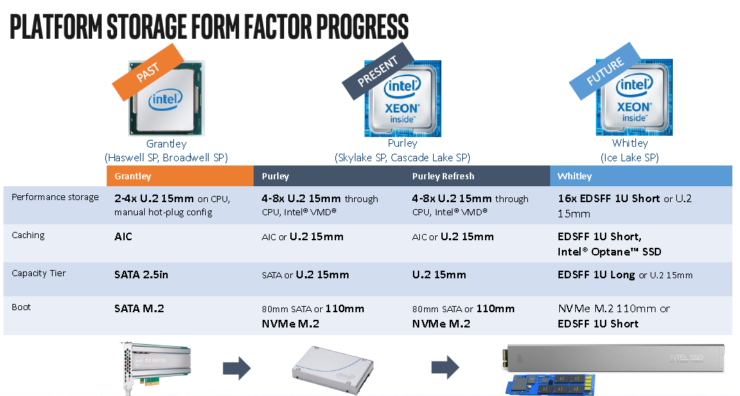 Intel did a small demo, showcasing a next-generation Cascade Lake-SP processor against Skylake-SP in Resnet-50 which showed the mentioned performance gains. 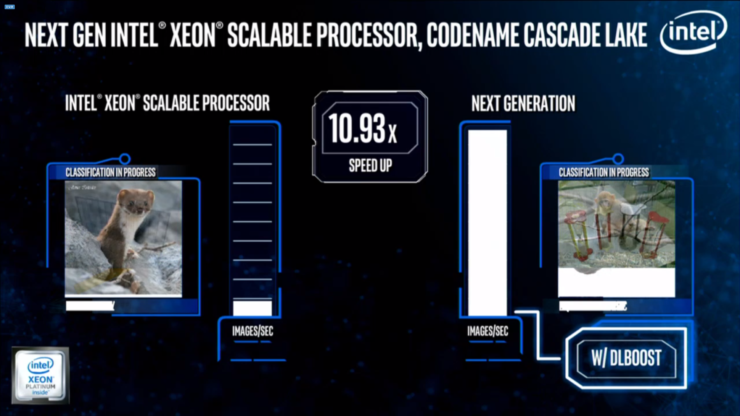 Next up, we have the Whitely platform which will feature two Xeon Scalable Families. First one is the Cooper Lake-SP family which will be introduced at the end of 2019. 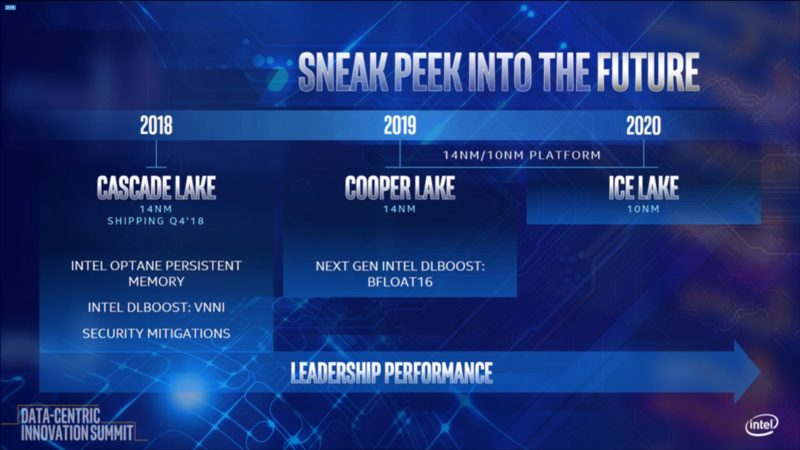 The Cooper Lake CPUs will retain the 14nm process node and feature small efficiency enhancements but will be supported by a completely new platform known as Whitley which is the successor to Purley. 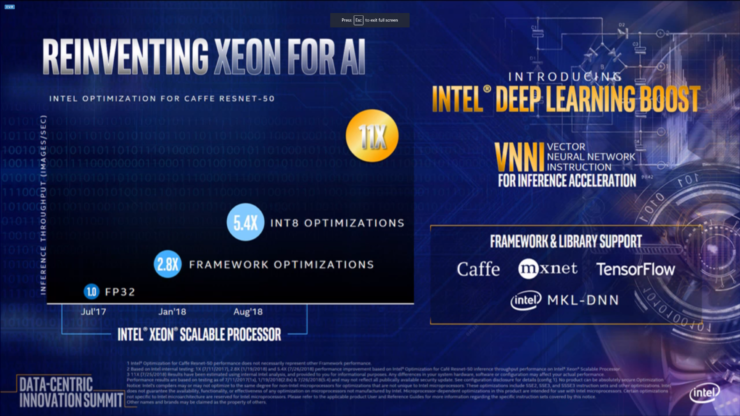 Cooper-Lake Xeons would also deliver an updated to Intel’s Deep Learning Boost by offering support for BFLOAT 16 instructions. 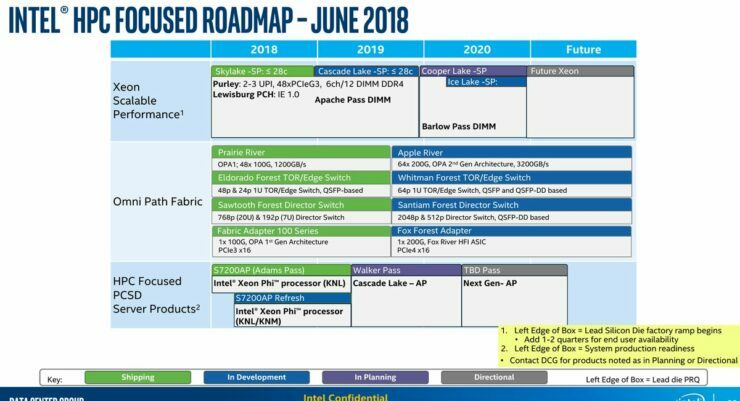 While Intel didn’t mention much about their Ice Lake-SP processors aside from saying they’ll be based on a 10nm process, we know from previous details that the Ice Lake-SP Xeon family will be supported by the same Whitley platform and come with an enhanced CPU/IO architecture layout. We can expect a core count bump and processors will retain support for 2S / 4S / 8S+ platforms.